Sting in the Tail's Nautical Range is perfect gift for someone who loves the seaside. 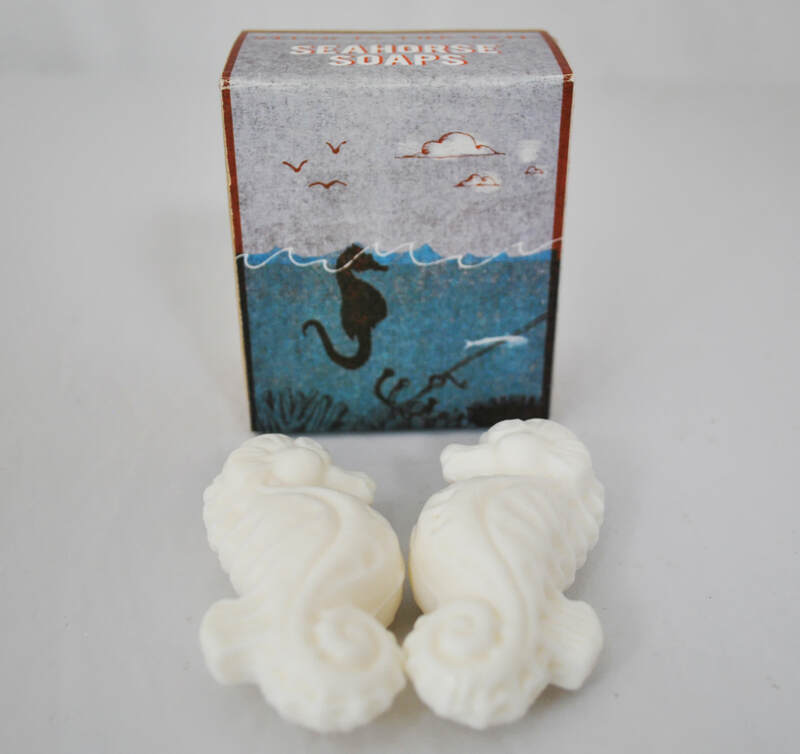 2 lightly fragranced seahorse soap packaged in a retro style box is a great stocking filler, side gift or a treat for yourself. Price includes two boxes. Ingredients: Sodium Palmate, Sodium Palm Kernelate, Aqua, Glycerin, Parfum, Sodium Chloride, Cocamide DEA, Sodium Hydroxide, Tetrasodium EDTA, Tetrasodium Editronate, Linalool, CI 77891. Made in Holland.